Pool Clear’s pool cleaners and services make owning a pool a hassle-free experience: just dive in and enjoy! We keep on eye on everything… so you don’t have to. The Best Pool Cleaners… Are Us! 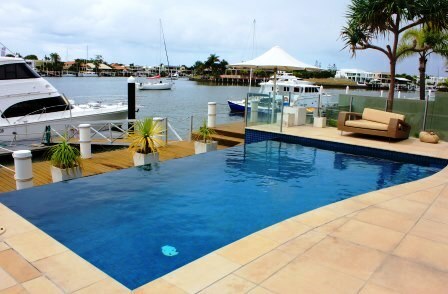 Pool Clear’s service and meticulous cleaning techniques deliver all-round protection for your pool. We make sure your pool is immaculate – which means no expensive maintenance problems later on. Our pool services include full pool cleaning and we deliver far better results than any automatic pool cleaner can offer. There are advantages to having an auto pool cleaner installed in your pool and in some situations, a pool cleaner is a must – for example – if your pool receives high amounts of tree debris or other contaminants. In certain cases manual cleaning and normal pool filtration are just not enough to keep a pool clean. Auto cleaners offer efficient cleaning only when installed and maintained correctly. Pool Clear carries a wide variety of quality brands in auto suction pool cleaning equipment. We can recommend the right choice of cleaner for your pool. Some call it a kreepy krawly… some a barracuda. These well known versions are still around, but with hundreds more now on the market – it can be difficult to know which cleaner is the most economical and effective. Pool Clear has the experience and can offer friendly and expert advice to make sure you get the right pool cleaning equipment for your needs. These cleaners include amazing technological advances – like electronic scanning – which means they deliver far more efficient and effective cleaning in minimal time. They only need power supply – there is no need for any more hose attachments – and no wear and tear on pool equipment. Our recommended units incorporate front and rear brush cleaning with a dual-filtration system for improved water clarity. Robotic pool cleaners are ideal for a quick pool clean or full cycle cleaning in timer mode. Just set, place it in and walk away… returning to a clean pool. Then, just take the cleaner out and you’re done! Set and forget – and return to a clear pool!